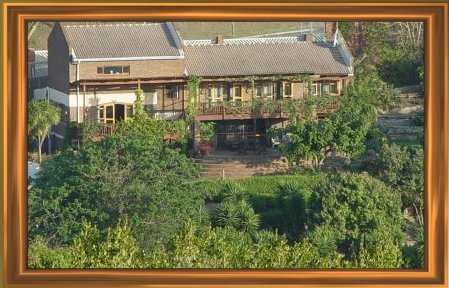 Conveniently situated in the up-market area of Vincent Heights, Vincent Valley Lodge overlooks a verdant, bird populated valley and offers comfortable accommodation with the choice of B & B or self catering. 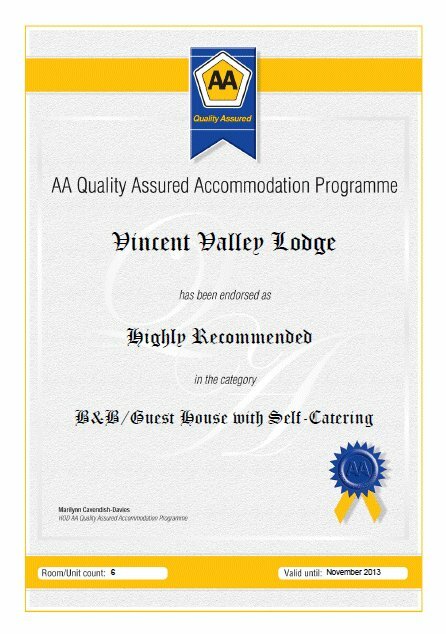 Management and staff welcome you to our guesthouse in Vincent Heights, East London, which offers both bed and breakfast and self-catering accommodation. 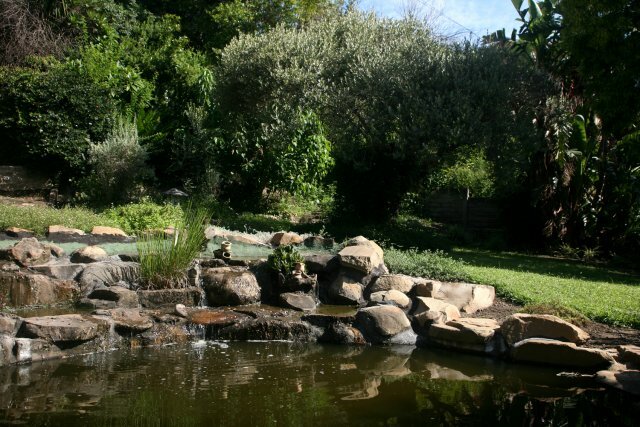 Situated on the edge of a valley that is home to a large variety of birds, you are assured of a peaceful and restful stay. 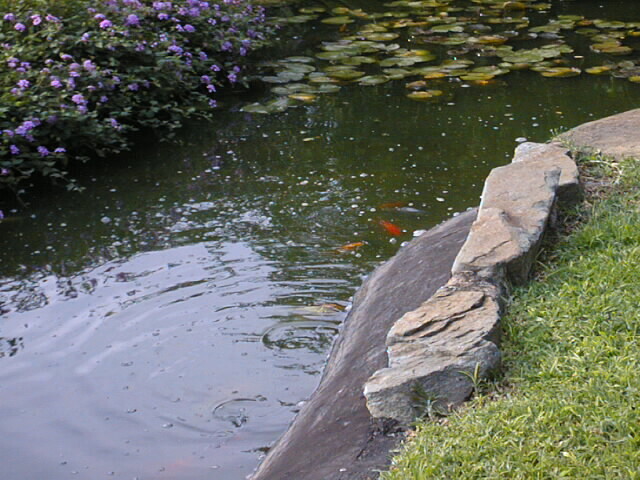 The large garden, overlooked by raised wooden decks has koi ponds, streams and waterfalls, which provide a calm and tranquil end to a busy day. 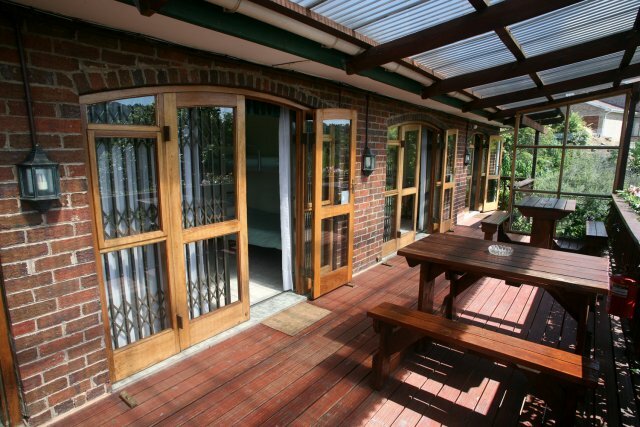 Our up-market guesthouse is close to the main business districts, schools, sporting facilities, hospitals, casino and shopping centres, and provides six secure on-site parking bays. Our beautiful beaches, some of the best in the Eastern Cape and South Africa, are only a short drive away. In addition to Televisions, mini-fridges, microwaves and beverage makers, all rooms are covered by, free wi-fi broadband Internet access. Facilities are available for mini-conferences and training seminars for up to 25 delegates. We are also children, pensioner and dog friendly. Joey, our manager is a registered nurse and offers assistance in care. Enjoy your browse through our website and we look forward to meeting you here soon. 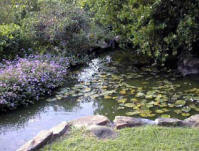 9 Bauhinia Drive, Vincent Heights, East London.